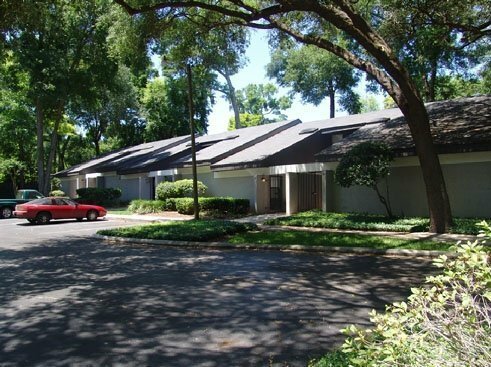 Woodland Villas offers spacious 2-bedroom loft townhomes in Gainesville, Florida, close to the University of Florida campus by public transportation. 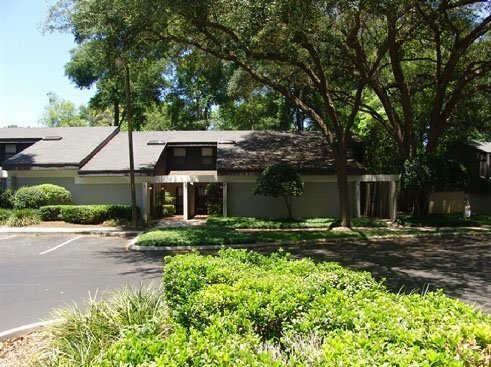 Woodland Villas is the perfect choice for the serious student looking for a quiet place to live and yet still wanting to be close to the University of Florida campus. Take the 76 bus to the District Apartment complex and make a quick changeover to the 20 bus. You will then get to the western edge of campus in about a half-an-hour with other areas of campus only a few minutes further. The nature lover will be right at home in Woodland Villas. The Split Rock Conservation Area is literally right around the corner from home at under a minute walk away. Enjoy rugged hiking over diverse landscapes as you take in diverse rock formations, wetland marshes and great bird watching. Or jump on the 75 bus right outside your door and venture over to Kanapaha Botanical Gardens in thirty minutes. With a diverse display of plant life, you can see the state’s largest display of bamboo specimens as well as giant water lilies. They also offer a Moonlight Walk where you will be amazed by their laser lit pathways at night. If your idea of adventure is hunting for bargains, the Oaks Mall is a short ride away on the 20 or 75 buses. Get your fill of designer brands at Macy’s and T.J. Maxx, or see what is trending at Forever 21. The mall also features the Gator Theater so you can take in a movie after a long day of shopping. You will find dining options aplenty up near the Oaks Mall. Try the highly rated BJ’s Restaurant and Brewhouse, or grab a gourmet burger and unlimited fries with friends at Red Robin. For those with more adventurous tastes, the Ocean Buffet is in the area offering unlimited seafood. One thing is for sure; you will never be bored by the options near you. Woodland Villas also offer amenities to make sure you are comfortable for your days and nights at home. Hang out with friends and roommates at the community pool and sundeck. Each unit has unique options such as skylights, self-contained courtyards and loft layouts which allows you to pick the one that most feels like home. Since they are pet friendly, you can bring your furry family members along to live with you as well. For the student seeking a quiet home with convenient options, Woodland Villas might just be perfect for you!